Transparent Chennai is a platform for citizen engagement which invites users, both individuals and groups, to create and submit their own data about the Indian city of Chennai. The aim is to help them counter inaccurate or incomplete government data with these updated and crowdsourced ones, and make better claims on the government for their rights and entitlements. How some google image printouts looked after it had been drawn over. Image courtesy Transparent Chennai. 1. 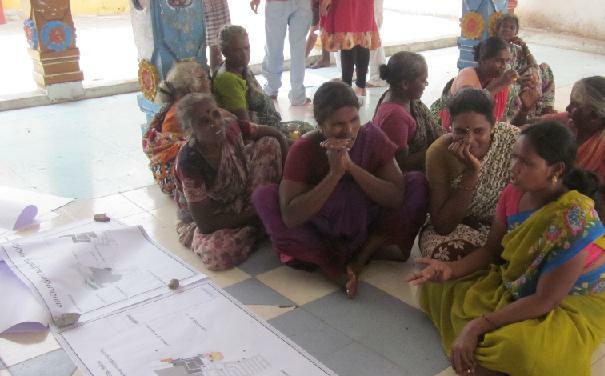 Getting the proposal signed and approved by Panchayats (local self-governments). 2. Google Maps images of the coastline were printed out on A1 paper for the participants to understand what was there. 3. 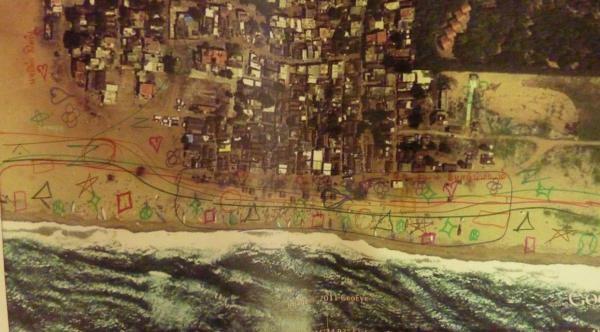 Using coded symbols (keys) they drew over the Google Maps images. 4. 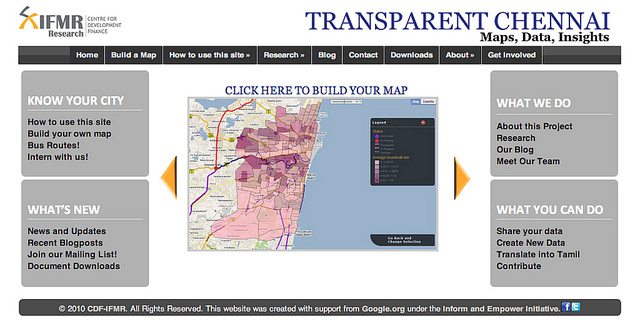 The Transparent Chennai team prepared rough maps based on these images. 5. The draft maps were presented in a public meeting for feedback. Based on the feedback the final map was drawn. The question that was asked was what would you like on your map? Image courtesy Transparent Chennai. On the whole, it was a thoroughly satisfying day, having seen a rarely known side of Chennai. Over the next couple of weekends we will walk down other streets of Chennai, looking for lesser known buildings that were witness to many events and hosted important personalities, and possibly hearing stories of love, tragedy, deaths, births, marriages, political alliances. After all, what is a city without its people and how can we do our bit to preserve this city’s rich cultural and built heritage. Nithya V. Raman writes that the most common problem with city data is that they are often wrong. Nithya shows the uneven distribution of sidewalks in Chennai city. Priti Narayan shows how data fom Google earth can help in determining where foot overbridges are required for safe pedestrian crossing. The project's current challenge is in ensuring that the research and data reaches those people who can use it, including citizens advocating for change, policymakers and elected legislators, the general public, and the media. You can follow the project on its Twitter and Facebook Page.